We have finally made it to December and I couldn’t be more excited to get into the festive mood! As soon as there is a slight chill in the air I am itching to get out my holiday decorations, but Ian and I reached a compromise and decided to wait until after Thanksgiving to break out the twinkle lights! Along with Christmas baubles, sugar cookie candles, and garland; the smell of gingerbread puts me in a festive mood. 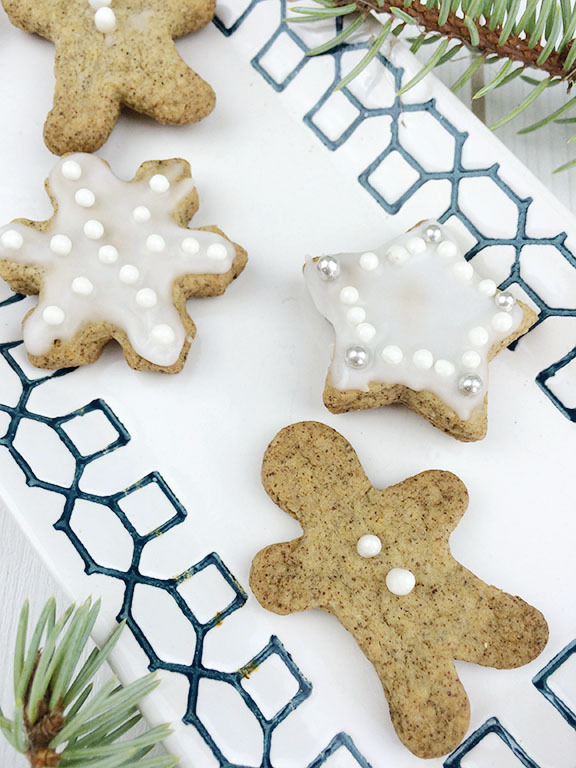 I was toying with the idea of baking my own gingerbread house, but then I remembered I’m not Martha Stweart so I opted for these mini gingerbread cookies. 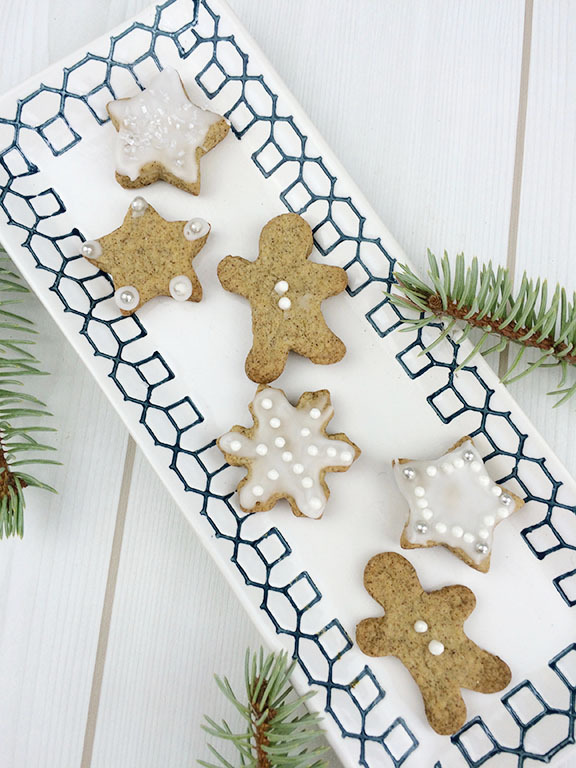 These mini gingerbread cookies are perfect to snack on with a cup of tea or for decorating your home! 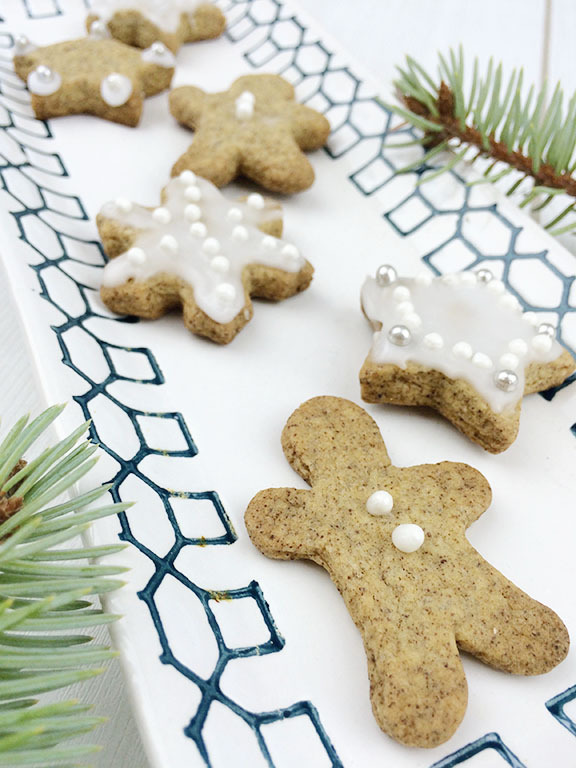 Just poke holes on the top of the cookies before baking and you can make a gingerbread garland!